Over time, our skin begins to display the effects of aging. Natural factors such as sun exposure, gravity, and hormones can actually speed up the aging process. Our skin begins to break down resulting in fine lines around the eyes and lips, deeper lines and grooves in the brow, and much more. One day we wake up to find that our face no longer has that youthful, vibrant appearance it once had, or that we would like it to have. Restylane® is a long lasting cosmetic filler that provides dramatic results for improving the appearance of facial lines, wrinkles, and folds. This is a non-surgical solution to soften facial lines and wrinkles, restore volume and fullness to the skin, plump up lips, and fill in scars. 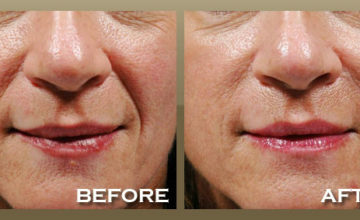 Restylane® injected into the lips can give back fullness to lips that have receded. The cosmetic results are visible immediately, bestowing you with a more youthful and invigorated look. A: Restylane® is injected in small amounts under your skin to fill creases, lines, wrinkles, or folds. 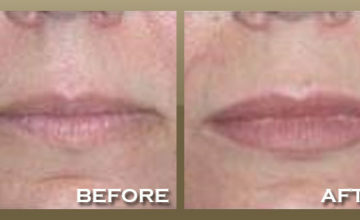 It is also injected around the lip area to create volume, resulting in a more youthful appearance. A skin test is not necessary prior to treatment, so treatment can be performed at any time. In order to optimize your comfort, the treatment area may be anesthetized with a topical cream or anesthetic block. Treatment results are immediately evident. A: Depending on many factors, such as your lifestyle, age, and skin structure, your results may last as long as six months to a year or more. You may require a touch up treatment 2 to 4 weeks after the first treatment to achieve your desired result. Treatment to enhance the lips is reported to last much longer than treatment using standard collagen filler. When the effect of the treatment begins to diminish, you can replenish the area as needed. Q: What are the benefits of Restylane®? 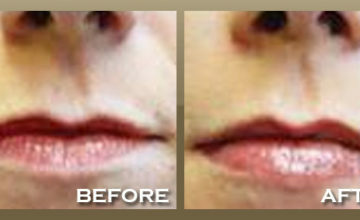 With lip enhancement, the results will be noticeably fuller and more contoured lips. A: Restylane® has been demonstrated to last much longer than the standard bovine collagen injection. The occurrence of an allergic reaction is extremely rare due to the product s non-animal associated basis. Unlike injectable collagen filler that is made of bovine protein and can cause an allergic reaction in some patients, Restylane® is a natural substance, hyaluronic acid, which is a sugar molecule already present naturally in the human body. The hyaluronic acid in Restylane® is similar to that found throughout your body, which gives volume and fullness to the skin. It is both biodegradable and compatible with human hyaluronic acid. Because of this compatibility it is not necessary for you to be tested for skin sensitivity. Schedule your Restylane® Treatment Today!